1751-1811. Baptised on 6 August 1751, he was the son of Arthur Kelly of Kelly, Devonshire, and of his wife Mary Tucker of Coryton Park, Kilmington, Devon. Kelly was commissioned lieutenant on 16 May 1776 and commanded the brig Hope 14 in North American waters with this rank during 1777-8. His vessel was fortunate to escape capture by the French fleet at the defence of New York in July 1778 when the Nova Scotia convoy she was bringing in was warned off by loyalist craft. He was later employed as a lieutenant of the Sultan 74, Captain Alan Gardner, seeing service in the Leeward Islands during 1779. 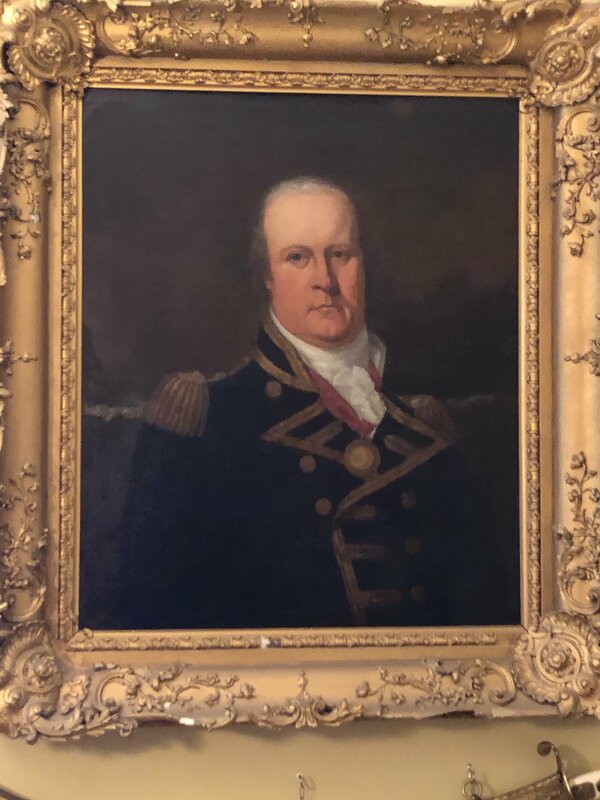 He was promoted commander on 7 April 1782, and having been posted captain on 8 August 1783 he commissioned the Adamant 50 for the flag of Admiral Sir Richard Hughes in the Leeward Islands where he remained until coming home and being paid off in September 1786. During February 1793 Kelly briefly commanded the St. George 98, followed equally briefly by the Windsor Castle 98. 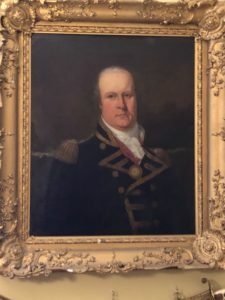 In April he recommissioned the frigate Solebay 32, going out to the Leeward Islands where his ship was severely affected by yellow fever, with almost all of his officers succumbing. He was present at the capture of Martinique and commanded a battalion of seamen ashore at the reduction of Fort Bourbon during the campaign of January – December 1794, but during the reduction of St. Lucia in early April he was ill with a fever and unable to superintend the landing of troops, as had been intended. After the capture of the Pique 38 by the Blanche 32 on 5 January 1795 Kelly’s Solebay arrived on the scene and took the defeated French frigate in tow to the Saintes, and in February he captured a sixteen-gun privateer. During the spring of 1795 Kelly removed to the Veteran 64 in the Leeward Islands, and in the late summer of 1796 he departed for England from St. Vincent with a convoy of West Indiamen and transports from which his command separated in a gale at the beginning of September. With her chain pumps in constant use and a fothered sail over her a hole below the waterline the Veteran eventually reached Plymouth on 20 September. Two months later Kelly was presented to the King at St. James Palace to commemorate his return from his service abroad. During February 1797 Kelly commissioned the French prize Juste 80 but he left her shortly afterwards, causing his erstwhile crew to demand his return in place of their new captain, Hon. Thomas Pakenham, during the Spithead Mutiny which erupted on 16April. In July he joined the Gibraltar 80, becoming attached to the Mediterranean fleet in the following month, serving thereafter in the Channel and participating in operations following the breakout of the Brest fleet on 25 April. In February 1800 the Gibraltar sailed around to Plymouth from the fleet rendezvous in Torbay having lost her rudder in a violent gale, and in proceeding up the harbour she hit the ground but sustained little damage despite remaining ashore until the high tide. After a brief period in Plymouth she rejoined the Channel fleet in June, later sailing for Gibraltar. She was subsequently attached to Rear-Admiral Sir John Borlase Warren’s squadron that left its station at Cadiz to search for Rear-Admiral Ganteaume’s during that officer’s cruise of January – July 1801. The Gibraltar remained in the Mediterranean after peace was declared, and although orders were sent down to Plymouth in July 1802 to prepare moorings for her in August she then received further orders to continue on that station with a number of other sail of the line. Having expected to return home her crew rose in mutiny, but being unable to gain any support from the other vessels the men were unable to prevent the officers regaining control. Two ringleaders were found guilty of insurrection and executed aboard the Gibraltar, but the sympathetic Kelly allowed four other ringleaders to go free without facing a court martial. As a result he was himself court-martialled at Malta and dismissed his ship, being temporarily succeeded by Captain Thomas Briggs and then permanently by Captain George Ryves. The senior officer at Gibraltar, Commodore Sir Richard John Strachan, urged the Admiralty to rescind Kelly’s removal in March 1803, but with the intractable Earl of St. Vincent as the first lord such a plea was never likely to succeed. 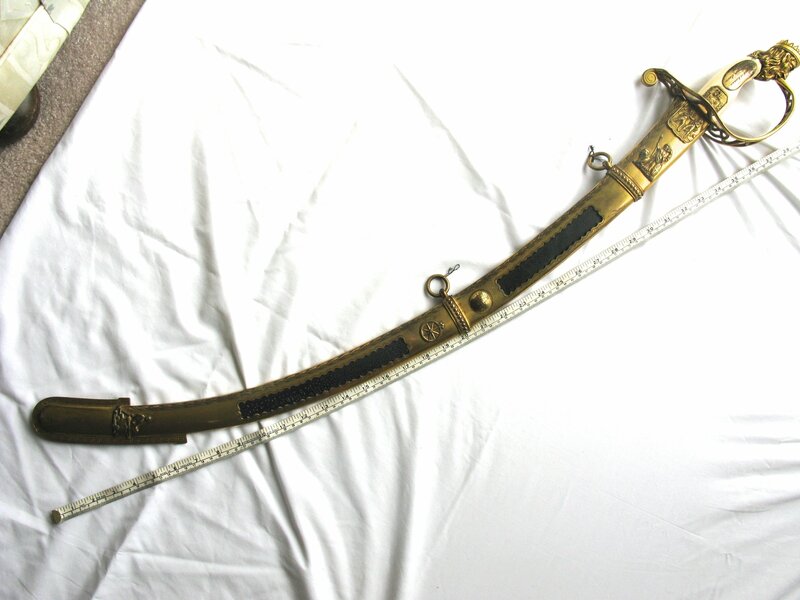 His men showed their devotion to the popular Kelly by the highly unusual purchase of an ornate sword. Kelly commanded the Téméraire 98 in an acting capacity for Captain Eliab Harvey from the end of August 1804, briefly entering Plymouth in September, and retaining her until February 1805 off Brest and later off Ferrol under the command of Vice-Admiral Sir Robert Calder. He then briefly had the Caesar 80 at Plymouth from May 1805, but his active employment came to an end when he was promoted rear-admiral on 9 November, and further promoted to vice-admiral on 31 July 1810. He married Sally Morton, the daughter of a Nevis judge and a relative of the future Lady Nelson, and he was the father of Lieutenant Magnus Morton Kelly and of a daughter. His nephew, Benedictus Marward Kelly, served with him on the Gibraltar and rose to the rank of captain in 1821. His residence at the time of his death was St. Andrews, Devon. My thanks to Ian Cooper for his help with this biography, and for providing the illustrations.